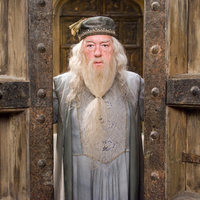 Based on fictional character Albus Dumbledore from the Harry Potter movies this character loves sherbet lemons so why not give homage to this and re create his favourite past time. This is a very simple but flavourful recipe that really captures that fizzy zing you get from sherbet lemons, I’ve been really enjoying this vape for it being slightly unusual and more a novelty than something complex that I’d usually create. I hope you enjoy it as much as me. By far the best sherbet flavour out there very real to its flavour and captures some fizz very well, it doesn’t taste like burnt sugar either when you vape it. Excellent flavour that should be useful in other recipes if requiring something with fizz. Again a perfect combination no other lemon comes close it’s bright and vibrant and it’s versatile in many combinations both fruits to bakeries. Feel free if you want more lemon in here to add more it will work. I used this as the base sherbet lemons have that hard candy outer and this does the job while adding additional experience to the sherbet to what can only be described as a mouth explosion!!! Added here at a small amount to create additional mouthfeel and a rounder to the citrus flavours. This recipe is the property of dazcole and released under the CC Attribution-NonCommercial-NoDerivatives 4.0 license. You may not copy, derive or commercialize this recipe without following the terms of this license or the explicit permission of the creator. Perfect! From the actual fizzing sensation of the sherbet to the sweet but tart lemon hard candy this recipe is very, very accurate. Trust me I’ve probably eaten more sherbet lemons than Dumbledore in my time. Cannot recommend this enough. You nailed Bassetts Sherbet Lemons in this recipe. I added 2% Vape Train Sour Lemon and .5% WS-23 because I like my hard candy straight out of the freezer. Fabulous! Made this in honor of September 1st...didn't last that long. It's a perfect sweet yet tart lemon drop that definitely brought to mind all things Harry Potter. The lemon and citrus notes in fizzy sherbet really mixed well together making a vibrant candy lemon. The rest of the fizzy sherbet (candy notes) and the sour ball just made the whole deal that juuuust right amount of tart to really sell the lemon candy. Didn't notice the marshmallow per se, but since it's there for mouthfeel, yeah, okay. THAT I got. And yeah, it's just the right amount of sweetness to offset that tartness and keep me wrecking it. I'ma be making more of this and hitting it harder than a pack of third years hit Hogsmeade on their first weekend. Holy hell. Wrecked 15 ml in 3 days, and for me, that's a lot. An absolute treat, and one to revisit often. Nicely done!